In part one of this three part series we did an introductory "walk around" of this classic World War II German halftrack. In part two we climbed inside, examined the crew's compartment and learned how to drive the Sd.Kfz. 251. Now, in part three former U.S. Special Forces officer, Guns&AmmoTV co-host and Guns&Ammo contributor Tom Beckstrand shares his thoughts and insights on this classic World War II armored personal carrier. I filmed this during a break in filming the 2018 season of Guns&AmmoTV and was lucky to enlist Beckstrand's help. He provides a valuable soldier's view of the Sd.Kfz. 251, pointing out both the good and the bad. The Sd.Kfz. 251 could mount two belt-fed machine guns, one at the front and back for use against ground targets and for air defense. The example seen here is from the DriveTanks.com collection in Uvalde, Texas. This living history museum will be featured in the 2018 season of Guns&AmmoTV, in the pages of Firearms News and online here. The Sd.Kfz. 251 will be the first vehicle from their collection covered online by FirearmsNews.com with others following shortly. 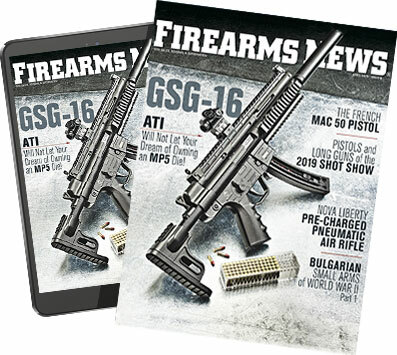 FirearmsNews.com has a variety of interesting videos coming up which include hitting the range with a M4A2E8 Sherman and Soviet T-34/85, along with a host of small arms and an anti-tank gun or two. So make sure to check back here, and tune into Guns&AmmoTV, available on The Sportsman Channel, for separate coverage. New episode every Thursday 9:00PM EST. If you've cut the cord to cable TV you can stream it through our MOTV.com streaming service. If you'd like the opportunity to drive an Sd.Kfz.251, and other classic armored vehicles, take a look at DriveTanks.com.